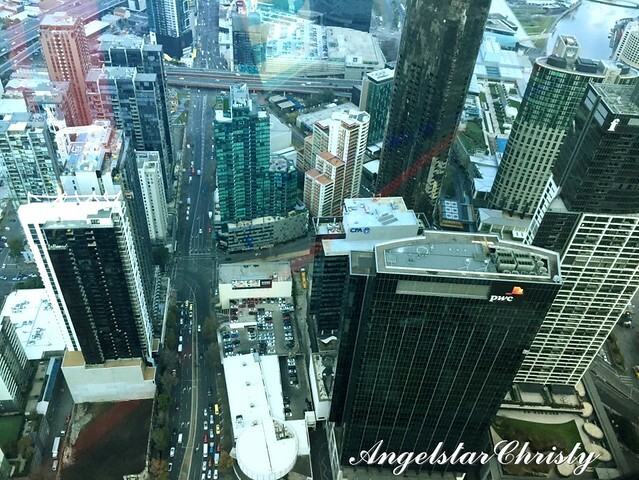 Every city has that highest tower or building, or that point where you can take in the entire view of the city and everything appears like they are minuscule from where you stand. It makes you feel like you're the builder, and you step back to look at that masterpiece as though they were little Lego bricks which you have put together to form that picture. Every city has their observation tower, that deck and it seems like the cities were all competing against each tower in building that tallest tower, outdoing each other as they measure against their peaks. 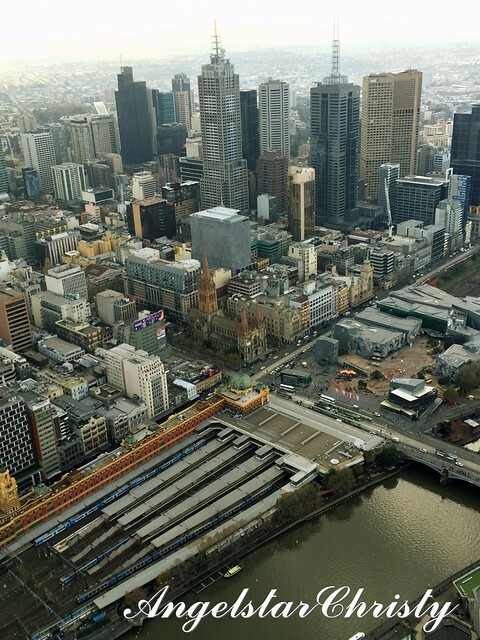 Melbourne, being a city, sprawling with development all over the places and with that expansion into the Greater Melbourne is not about to fall behind in the game. They may not have the highest tower in the world. No, not even in Australia although that will soon come true with the completion of the Australia 108 which started its construction this year and is expected to complete in the year 2019. 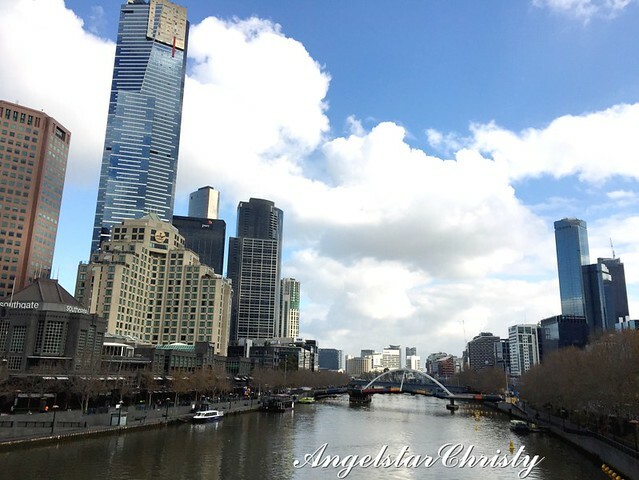 At the moment, to enjoy the view of the entire Melbourne, you have the current tallest building in the form of Eureka Tower standing at 297.3 meters high (975ft), on the Southbank precinct of the city. 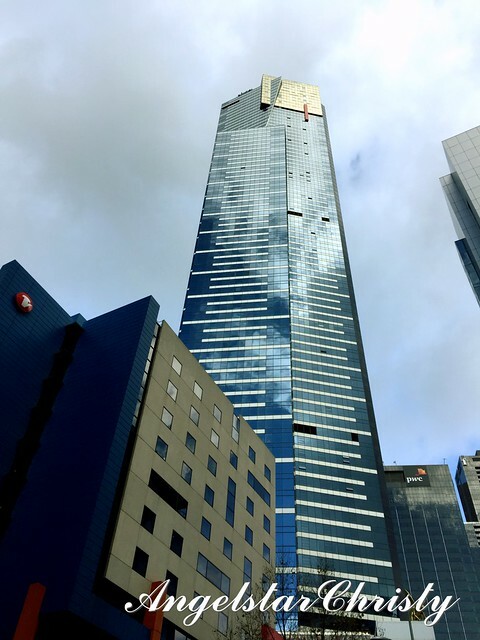 Eureka Tower is a residential building, unlike most of the other world's skyscrapers, which are usually commercial buildings (although not necessarily so) with 91 storeys above ground level including a basement level. 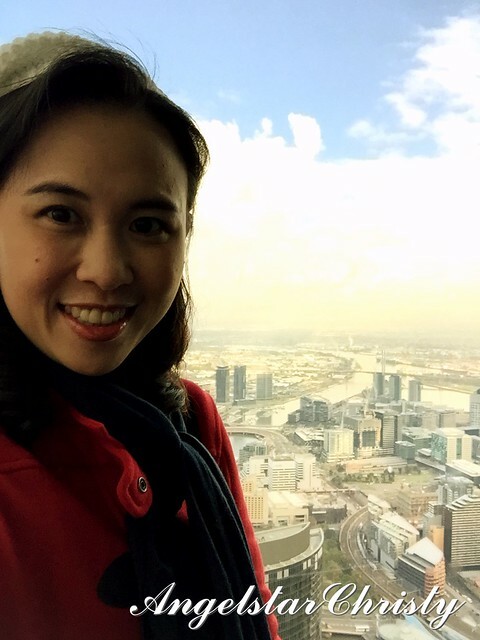 While it may not be the country's tallest building or even on the World's Top 10, Eureka Tower's 91 storeys is on the list of the only seven buildings with over 90 storeys in the world. 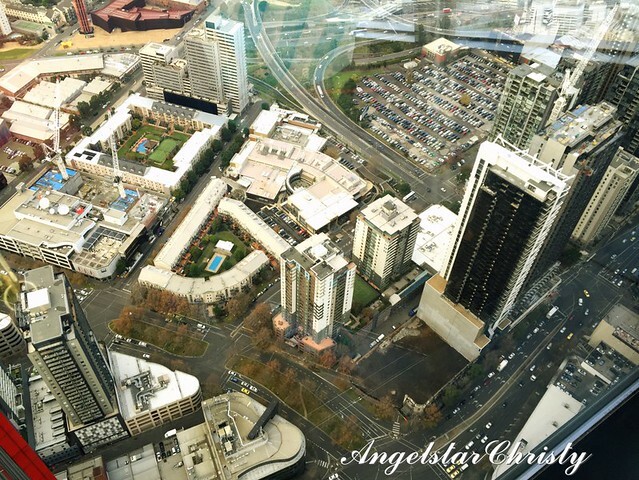 Designed by a local architectural firm, Fender Katsalidis Architects and built by Grocon (Grollo Australia), the Eureka Tower is a project by developer Eureka Tower Pty Ltd which is a joint venture among Daniel Grollo (Grocon), an investor Tab Fried and also an architect Nonda Katsalidis. 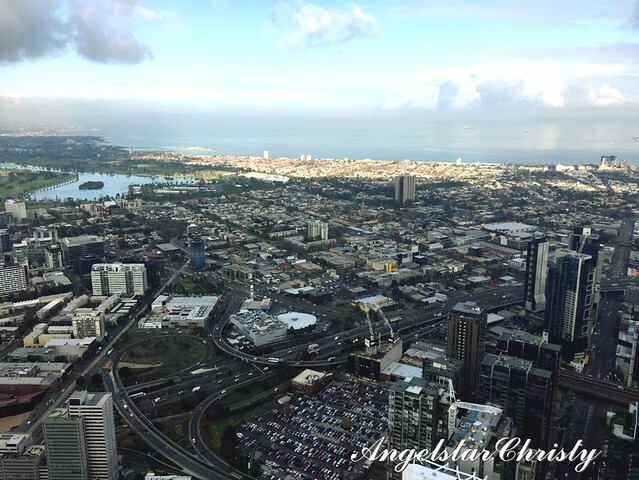 Construction works on the tower commenced in the year 2002 and was completed in the year 2006; in which it was also officially launched in October that same year (2006), by Steve Bracks, the Premier of Victoria at that time. 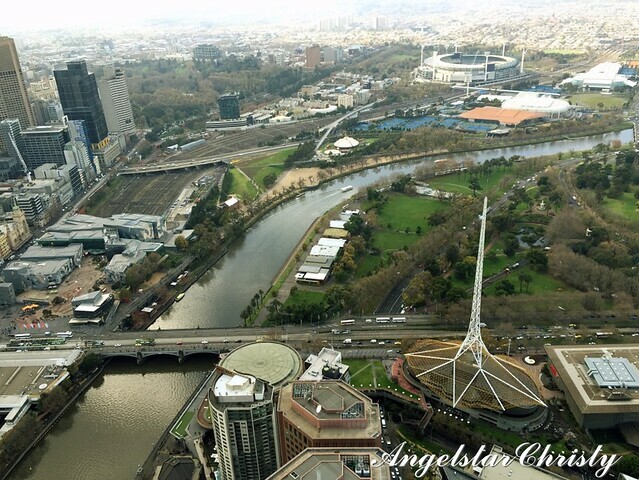 The name of Eureka Tower was selected to commemorate a rebellion which took place during the Victorian Gold Rush era, back in the year 1854; the Eureka Stockade. (The Battle of the Eureka Stockade, or the Eureka Rebellion, was a revolution of the gold miners in Ballarat, against the colonial force; the British in 1854. The place where the rebellion took place was in a small suburb on the east of Ballarat itself; after which the battle was named - Eureka. The stockade was based on the walled and stacked structure built by the miners against the attacks of the colonial forces, hence the name of the event was concocted from a combination of both the location and the structure itself. It was losing battle for the miners where 27 of the rebels perished in the conflict. 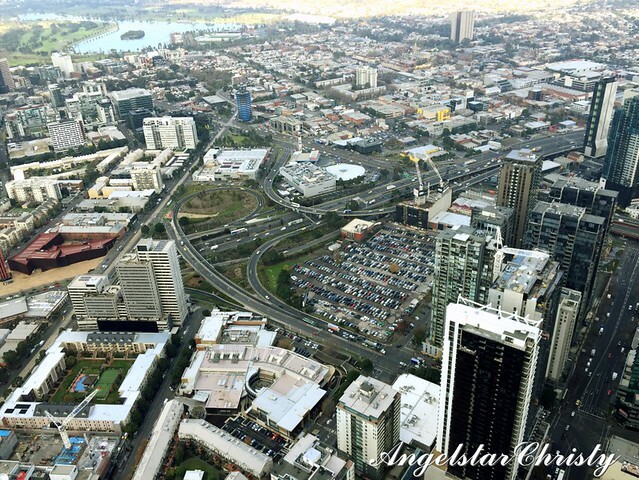 (More information on the Eureka Stockade here). The event, after which the building was named, was well-incorporated into the architectural design of the building, reflected in the topmost point of the tower, highly visible on display for all to see as one looks at the building even from ground level. 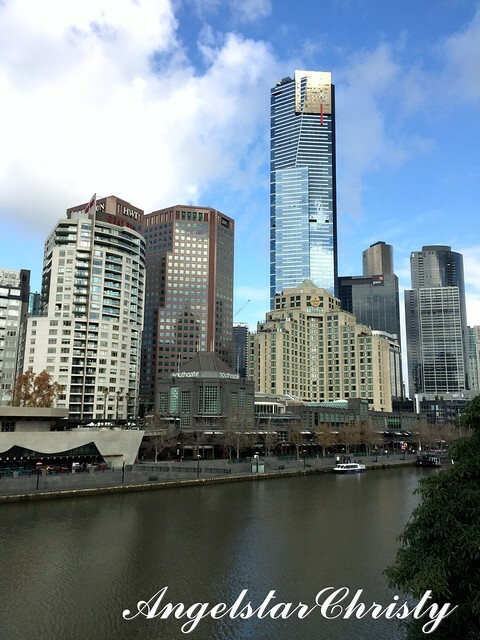 It is the identity of the Eureka Tower; the structure which is referred to as the gold crown, as it does resemble a crown being placed atop the tower itself. The gold crown, is a representation of the gold rush (or the gold itself) and encompasses at least 10 storeys of the building. 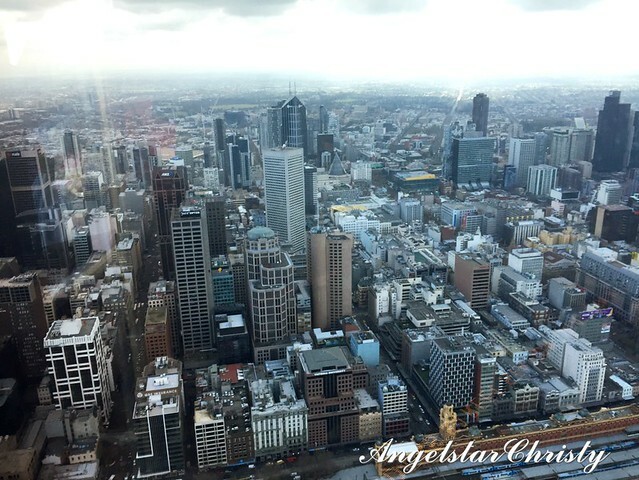 These top 10 floors of the Eureka Tower which had the strips of the gold, are actually lined with 24 carat (99.9%) gold plated glass windows which were completed in March 2006. There is also a red stripe on the tower; which is a symbol of the blood shed during the rebellion. Clad in blue glass, this reflects the blue background on the Stockade flag along the white stripes which are also on the flag, as well as the stripes on a surveyor's measuring staff. 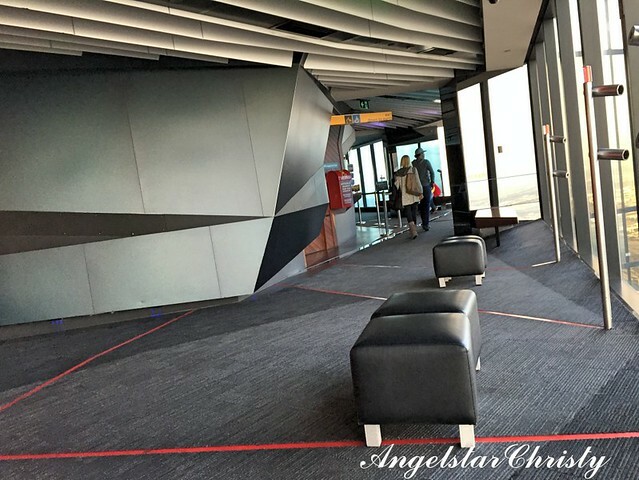 While the Eureka Tower is of residential status, the 88th floor is known as the Eureka Skydeck and is open to the public longing to have that panoramic and bird's eye view of Melbourne as a whole. 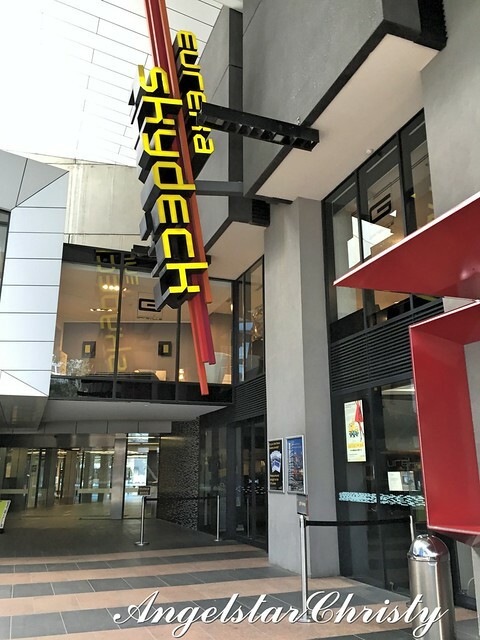 The Eureka Skydeck 88 is the Observation Deck at the point of 285m (935 ft), marked as the highest public vantage point in the region of the Southern Hemisphere. Like most of the observation towers around the world, there will be an entrance fee charged. (They will ask if you have any discount vouchers, for they do offer promotions in affiliation with some other deals occasionally, I think. 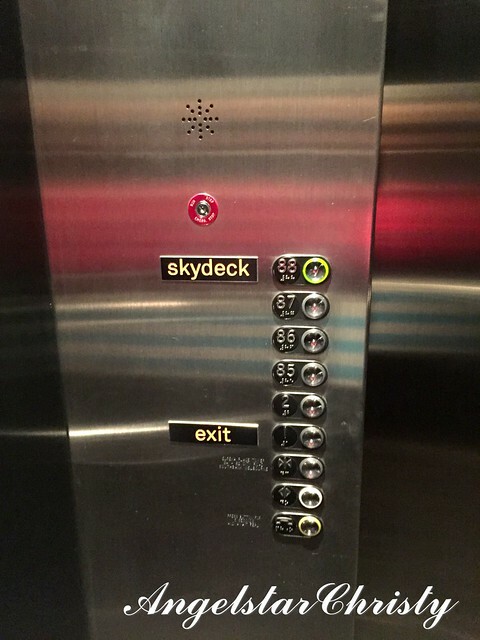 The elevator speeds up really fast to the 88th floor, and the Skydeck/Observation Deck just occupies the entire of the floor. 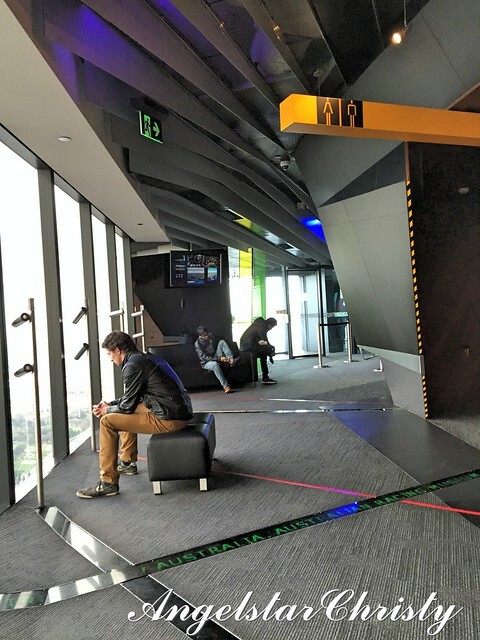 All the glass windows offer that view of the city, from different angles, of course, and there are several binoculars set up for one to use for a closer look. 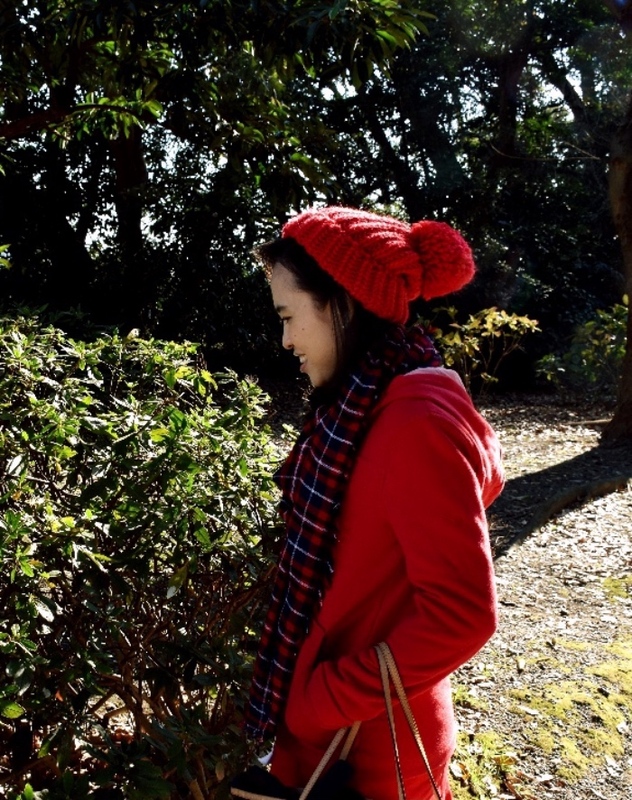 To have a better idea of what you are looking at, you can refer to the 30 viewfinders they have set up to help the visitors identify with the location and the landmarks they are looking at from each of the corner from which they are looking. There are also comfortable seats located around the deck area, for visitors to rest and there is also a little cafe serving snacks and coffee. To have a view in the actual environment, there is 'The Terrace', which is a small open area accessible through a security door leading to the outside though it is a highly windy area. You are, after all, at a high point (285 meters up there, and it is the highest point in the Southern Hemisphere, so that's perfectly normal). Views taken from The Terrace are much clearer; without the obstruction of the slightly tinted glass. The Terrace is a highly enclosed area. For the more adventurous, there is The Edge one could sign up for (additional fees chargeable). The Edge is one of the highlights of SkyDeck 88; and is projected in a style similar to the skydiving activity, except with a glass cube; where visitors are inside a glass cube which is extended or slightly projected 3m (10 ft) outside the building and gives them the surreal experience of standing at a height of 300m (984 ft) above the ground. It is the world's only moving glass cube and is opaque when one enters the cube. As it slides out, it offers a clear view of the city at that projected height. This is definitely not for those afraid of heights (acrophobia). I did not try it for myself either, maybe the next time? 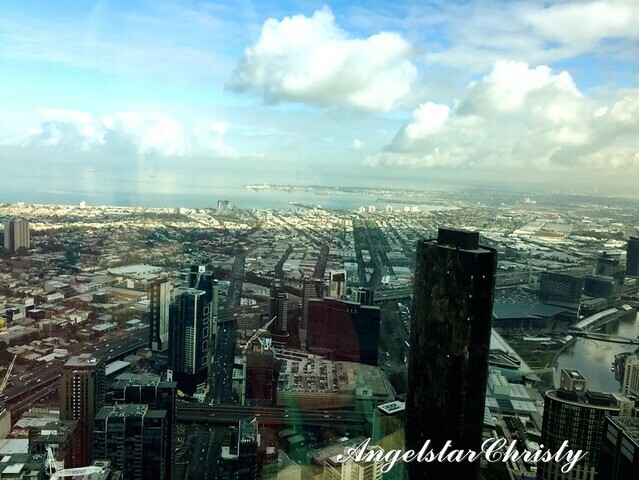 I enjoyed the view though, circling the Observation Deck at my own leisure. 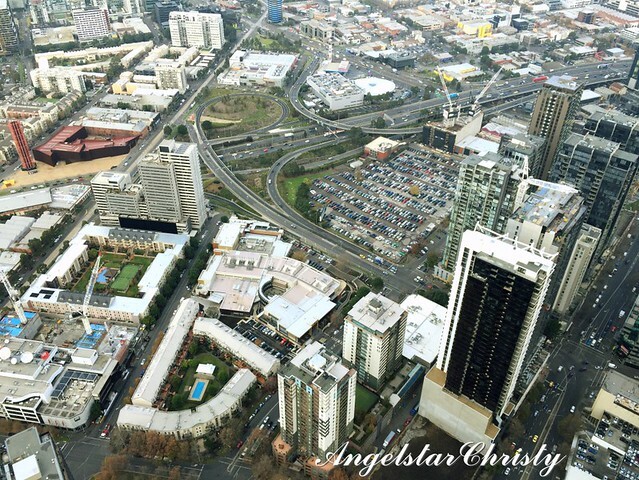 It is after all, the highest point in Melbourne and where else could I see the whole city with that bird's eye perspective? It is certainly different, and everything is just so small out there. Maybe we always felt like we are really small out there in the big world, but this changes it all when you are standing a high vantage point like this. The world looks really small there, like little figurines of everything as though they were just replicas. I feel like I'm on top of the world. 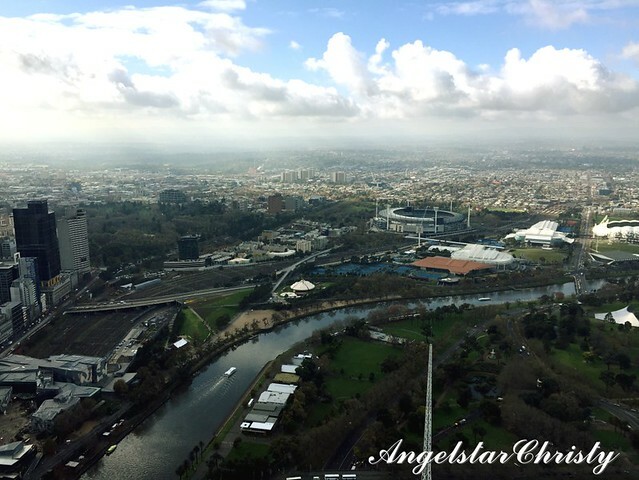 I'm at the top of the world, a world which I was looking at from that point and that is the world belonging to the city of Melbourne. There were plans to add another observation tower or possibly a communications mast which would be another 53.8m (176.5 ft), proposed by Grocon back in 2005 which could be used for an adventure climb. They are also considering a skywalk since the year 2006, when they launched the building. 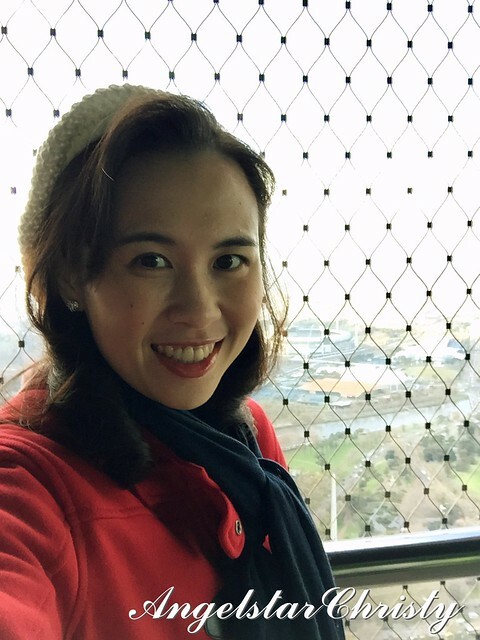 To date, the tower celebrates an annual event known as the Eureka Climb which has been taking place since 2012 where participants are judged based on their speed to climb 1642 steps to the 88th floor. The record held so far? 7 minutes up all 88 steps. That is a remarkable feat.